My father has instilled in me his passion for traveling, as he loved exploring on his own. He has been to different places, and has always felt contentment from every travel. I was only able to fully grasp his concept of 'wandering-off' only at age 7. He really liked the feeling of going out-of-town, as I could always see it from his cheerful aura. 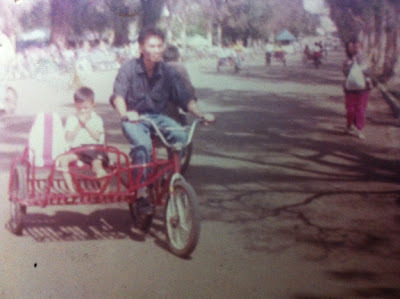 And even as a single father, he would bring me and my brother to far away provinces (the farthest would be in Baguio). From then on, my love for these enriching escapades made me more drawn to the adventure that traveling provided us as a whole. I started missing the thrill from our adventures right after he passed away in 1995. I was only 11 then. My hopes of seeing the rest of the world with him dwindled when he never woke up from his coma. He died from a brain aneurysm. Through the years, I was still able to travel with my family and friends. 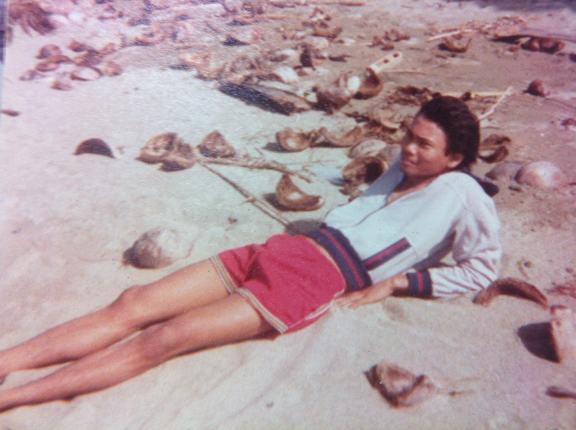 I've also been to different parts of the Philippines years after. Yet it felt like there was still something missing. It just wasn't the same, knowing that my father wasn't around to enjoy these new sights that I was seeing up-close. But my love for traveling was ignited, right after graduating from college in 2007. My cousin, who I call 'Kuya", gave me my very first plane ticket -- a plane ticket that was printed with the words: Destination - Hong Kong. This was Kuya's graduation gift to me. And from this experience, I was able to get on my first plane ride, first Asian destination, first international travel with my Kuya, and my first trip out-of-the-country without my father. I felt some form of sadness when I should've felt utterly ecstatic. I whispered the words "I miss you, dad. Wish you were here!" right when we set foot on this foreign country. But I was grateful for Kuya's sweet gesture. He knows my father would have done the same for me. Right there and then, my dad made his presence felt. I suddenly felt happy knowing that he wanted me to see this new place with Kuya this time. From then on, I knew that he would always be with me, wherever I went or whoever I was with. And to every destination that I have successfully crossed out off my list, I felt my dad's wandering feet, guiding me and exploring with me. My father has helped embrace the wanderluster in me. But it is my Kuya, who continued to nurture my love for wayfaring -- helping me feed that passion again by supporting my every endeavor to travel. He helped hone the BUDGET BIYAHERA that I am now (he even helped with the name study for my blog!). He taught me how to save, how to budget things, how to keep things organized and how to stay alert when traveling. Best of all, he continually reminds me to never forget to enjoy every journey made. 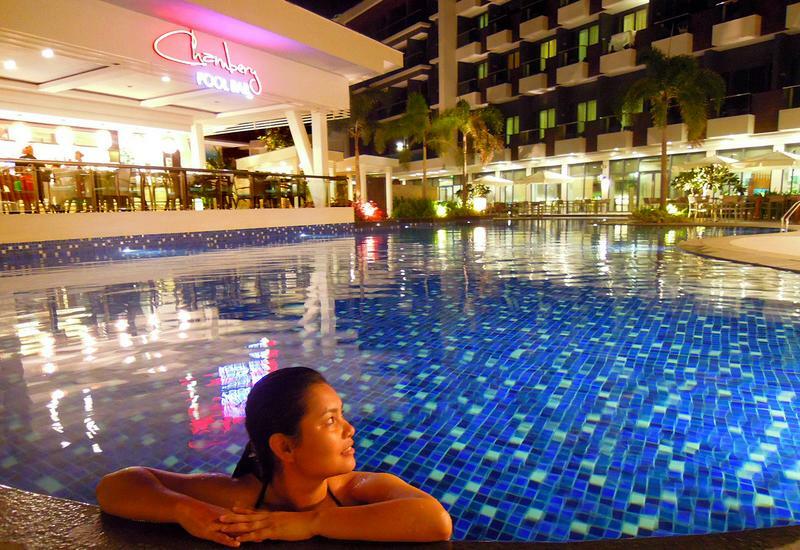 This post is my entry to the Pinoy Travel Bloggers' Blog Carnival for July 2012 with the theme "The Journey That Made Us a Travel Blogger". Edmar Gu-Quibb of Edmaration Etc #TownExplorer hosts this edition of the blog carnival. Your story is heartwarming. As I always saw the things my dad left in me when he passed away when I was still in high school, your dad also left you something you can hold on to this day and its your love for travel. You have carried his legacy and he must be so proud of the traveler that you are today. Nice. Daddy's little girl living up the passion of her dad! It might've been nice to have your father by your side as you travel to several destinations. He's not just a father, but also a teacher, as you are easily influenced. Though it may be sad that he already have passed away, I think that he still travels the world, through your eyes. 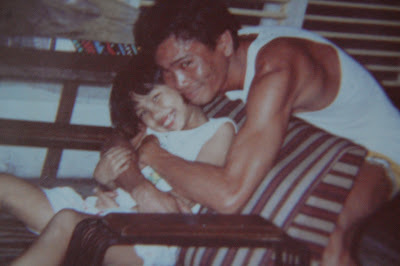 like father, like daughter... me pinagmanahan... lol. and wow, first plane ticket HK agad... the best. keep on doing what you love best... Yahweh bless. Be grateful for every safe trip! And enjoy! That maybe your father's wish for you. He must be very proud and happy for you! The memories of your father will live on inside of you wherever you are. Awww Mai..you may have spent just a short time with your dad but you were left naman with great memories! Have fun traveling, i pray that you will see God's glory in His creations! ow, teary eyed me while reading this post. kaaiyak naman, sad tuloy ao bigla. ninamnam ko talaga bawat word ng post mo. You are lucky to have a father and a kuya. I was touched on your article. And really you got your father's hobby, "Traveling". How sweet of your Kuya. It feels great to do things you love and knowing that your family supports you all the way. I believe the same things.. :) Thank you so much for your kind words. Awww... thanks po Ms. Tess. Nakaka-touch naman po ang words niyo. Even I, was a bit teary-eyed while writing this..
Awww... ako, thankful na lang din na I got to travel with my dad before he passed away. Your dad will always be there, ate. I hope I could also travel with my family. (bakit kasi hindi sila gala.) hehe. Beautiful post, a moving story, Mai. I am a bit choked up because your story echoes my own story about how my passion for travel was awakened. My dad passed away in the year, they were suppose to visit me in Germany, and I have prepared for him and my mom a European tour. The money for that travel and visit, went to his burial, and eventually renovation of our then house in Manila. I still have a hard time sharing this so I will stop now. Wishing you all the best in your future travels, I feel your father is looking over you proudly wherever your wandering feet brings you! Hi! I am awarding your super blog the One Lovely Blog Award. Mai my virtual friend!I knew another side of you reading this post. Glad you have your dad and kuya to instill and continue to nurture the love of travel - and your talent in writing them made you a great travel blogger! Very touching and poignant. Thank you for sharing to us this very personal story. And what a wonderful gift from your father to pass to you his love for traveling. Carry on his legacy. I'm sure he is smiling wherever he is. My name is Drew by the way. I wish to introduce myself to you. Such a heartfelt post. I could that sadness while reading this post. Like you, it's also my parent (my mother) who inspires me to travel. As a child you really could sense how happy and deeply contented she is when she travels. It's great that you still kept some photos of your father as remembrance. It's hard to live without one. This is truly a tribute to your dad and a constant reminder how parents can be such a big influence in the lives of their kids - whether directly or indirectly. Enjoy your travels. Nice to see Little Budget Byahera here. I'm sure there are additional chapters to this story by now. I admire you for having such a wonderful father. I also believe that what you are as a person is because of the people who honed you. This post is very moving and heartbreaking. Just the thought that you didn't get to share the places you've been with your dad is so sad. A great tribute to a great man who shaped your life. Sana, I can gift my kids some inspirational memories. Aww. This is truly a heartfelt post. Nice to know that your passion for travelling has been ignited by your dad and honed by your kuya cousin :) More travels ahead! aweee. such heart melting post. You made me miss my dad ( Im going home tomorrow tho). Namana ni dad ang pgkalagalag ng lolo (who happens to be a batangenyo who wandered around Mindanao in his early 20s where he met my lagalag lola) ko na namana ko din. A goood kind of pamana that I will treasure forever. It's good to know that you recognize the presence and love of your father. :) I believe that all of us owes the realization of our dreams from our dads!